As a strategic partner of China copyright protection center, pictorial web is a website platform of visual works copyright service founded and operated by 5th street home textile research and development co., LTD. Committed to the integration of global high-quality edition rights pattern design resources, to the Internet mode for designers and enterprises to provide professional copyright trading services. 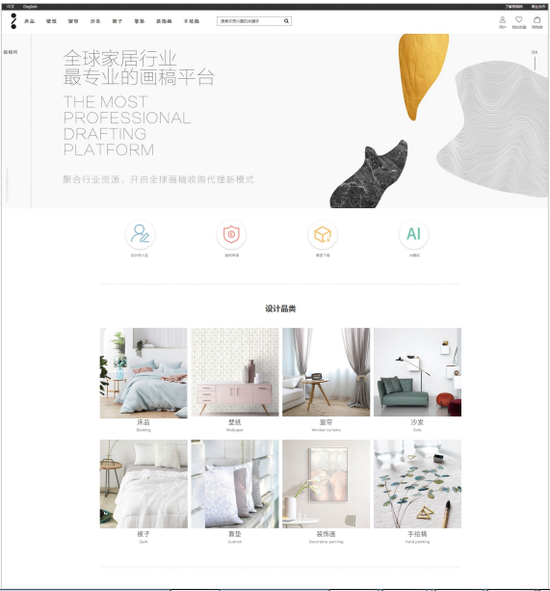 Sketchnet, a visual works copyright service platform founded and operated by 5th street home textile research and development co., LTD., was officially launched on July 16, 2018. Drawing is a strategic partner of China copyright protection center, a platform interface dedicated to digital copyright of China national copyright center, and an online copyright registration platform. Painting founder Yang Zhijun, male, born in 1981 in haian, jiangsu province, nantong home textile development co., LTD., general manager, fifth street painting net (www.huagaowang.com), the founder, the company is committed to integrate global high-quality copyright pattern design resources, in the Internet mode for designers and enterprises to provide professional services, copyright trade in August 2018, net project picture emerge from more than 1000 startups, wins the accelerator third member enterprise "" baidu AI. As the home textile capital and textile city, nantong has many business opportunities but also many risks. Yang zhijun was not satisfied with the status quo and stopped there. This adventurous "artist" kept thinking about the company's future development plan, how to expand the field of home textile research and development, and how to look beyond the nantong market to the domestic and even the global market. A bold idea formed in his mind, to make a pattern design copyright trading platform on the Internet platform - the draft network (www.huagaowang.com) came into being. Drawings for network currently has domestic well-known colleges and universities (tsinghua university, China academy of fine arts, art institute of fudan university, nanjing, suzhou, nantong university, etc.) at the university of professional designers hundred people, respectively in the nantong chongchuan district and putuo district of Shanghai, hangzhou binjiang, set up research and development base, and set up home textile exhibition center in nantong, the preparation of home textile design museum. At the same time with NUVO 'DILNDA pancari&c. S.N.C, milan, Italy, cuomo Leo&yosshj atelier,LLC, KYOTO NIX CO.,LTD, Tokyo KAMIGAMO KITA-KU KYOTO JAPAN, Osaka t-soft TO KITAGAWA TAKAO and other top international design companies have established long-term project cooperation, keenly capturing the trend of global home textile, gathering the wisdom of many top international design masters and design elites, and devoting to the research and development of domestic home textile products to promote the development of domestic textile industry.